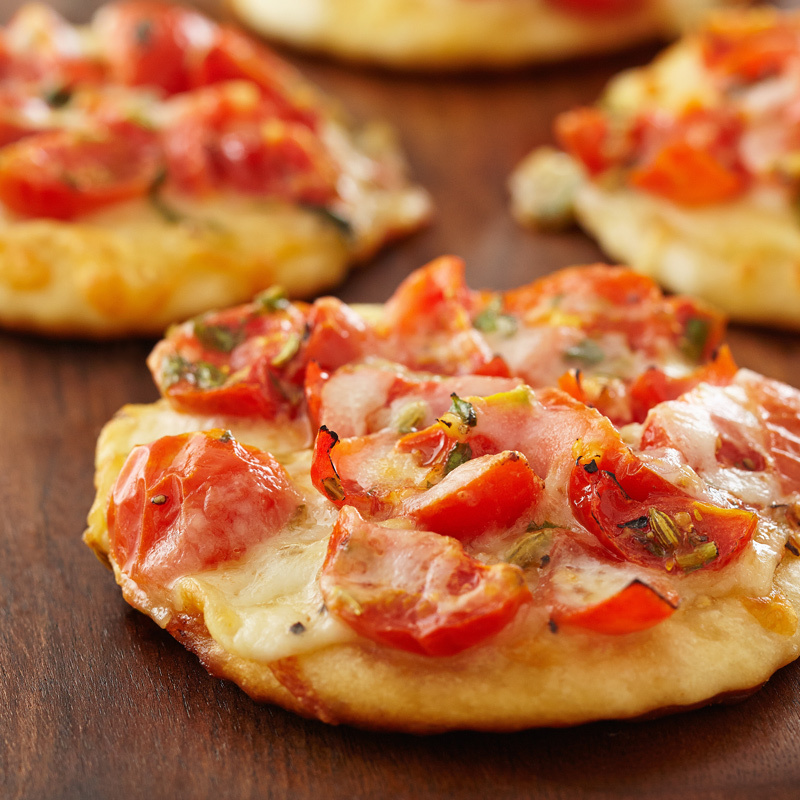 The NatureSweet® take on the classic recipe! Cut eggs lengthwise in half. Remove yolks. Place yolks in medium bowl and mash with fork. Add mayonnaise and ranch dressing; mix well. 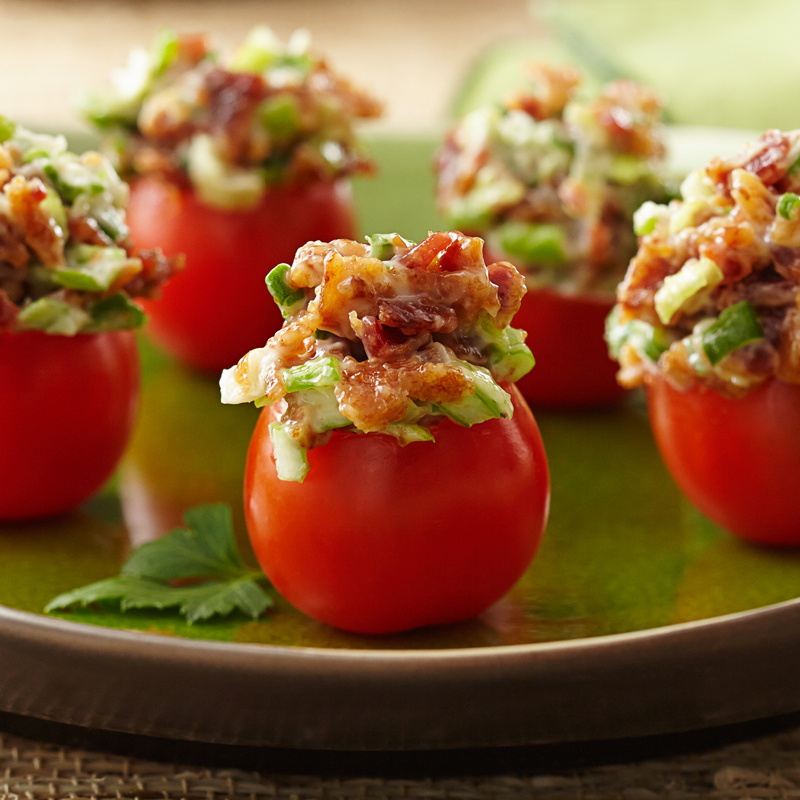 Stir in bacon and chopped Glorys® tomatoes. 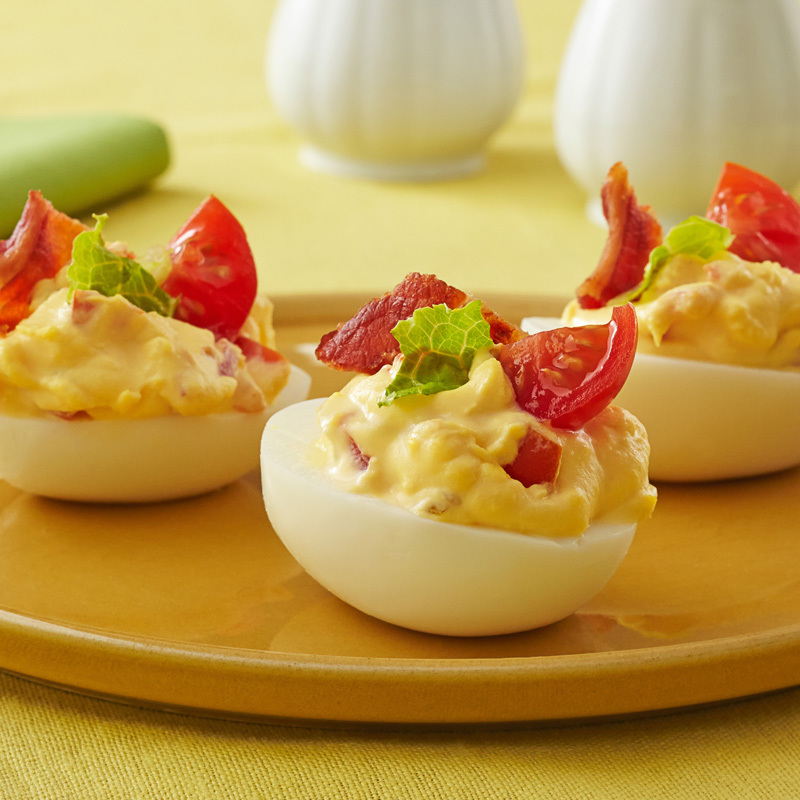 Fill egg whites with yolk mixture; top with lettuce and garnish with Glorys® tomato quarters.